Write For Us, Show Us What You Got! Do you think you have what it takes to write for one of Europe’s fastest growing Mixed Martial Arts and combat sports websites? Launched in early 2014, we have gone from strength to strength and all with just a handful of talented and highly valued content writers, healthy helpings of elbow grease and a vision. We are looking to expand The Team and bring some new contributors into the fold, currently unpaid positions. Offering a unique platform for scribes to display their talents to an ever expanding Worldwide audience. We run a tight ship and will not over subscribe as we do not want an army, but rather a unit to drive things forward toward success and the rewards that brings. By keeping our team relatively small, it allows for your work to be seen by the maximum amount of people and not get swamped by tonnes of other daily content. The result? We all win! So when we acquire our desired number of writers we will cap it at that. 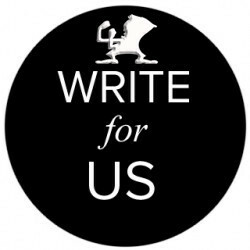 We are looking for articulate freelance writers with a conversational writing style. Healthy knowledge of mma or certain other related sports, a way with words and a style all of their own (not too demanding :o). We try not to take ourselves too seriously, so letting your own personality shine through in your writing is what it’s all about. MMA Micks is a brand, not just a media outlet. So it is as much about the style and attitude of the writer, as it is the subject matter. Aspiring journalists who want to break free of the traditional format constraints. MMA bloggers or any writer who feels they have something to contribute. We don’t do breaking news, but focus moreso on features and interviews. Long-form, quality content, evergreen articles and some opinion pieces. Even if you are not a writer, but have some other form of creative expression you want the world to see. Video, animation, illustrations etc etc… Get in contact and we will see how we can work together. A global platform to display your talents to the world and build your personal brand. Opportunities to interview the stars and personalities of the sport. Facility to attend combat sporting events for free as our media representative. Be fully credited in any and all of your own or partnership published content. Guidance on how to achieve the maximum online exposure for your work. Introduce yourself and give us some information about you the writer and the person. Please also include a written piece (if application relates to writing. In any other cases, links to other content or attached files), approx 500+ words on a topic of your own choosing. It does not have to be on mma! But something in the realm of combat sports is preferential. Either relating to an event, personality or similar. Email it to info(at)mmamicks.com and we will get back to you asap, pinky swear.